Starting up a new business is one of the riskiest, and also the most exciting, things that an entrepreneur can do. The success rate of new startup businesses is a coin flip — about half fail during the first four years, according to the Bureau of Labor Statistics. However, the rewards of starting a successful new business can be plentiful. Two of the most critical aspects of a successful new business are the startup business plan and startup strategy. Unfortunately, many entrepreneurs rely on their “gut instincts” when launching a new business instead of taking the time to create a startup business plan. This can lead to a host of potential problems, including a lack of startup financing, a shortage of resources and raw materials, an inability to attract and retain talented employees, and a failure to obtain buy-in from critical stakeholders such as investors, bankers, suppliers, and key vendors. There’s an old saying that if you don’t know where you’re going, any road will get you there. This is especially true when it comes to startup strategy and business planning. No doubt you want to grow your startup business, but growth should be approached from a strategic perspective. For example, should you grow organically — or in other words, by expanding operations to sell more products and services — or through acquisition? Regardless of which growth strategy you choose, your startup business plan should detail how growth will lead to higher profitability and increased shareholder value. If you decide to grow by acquiring other businesses — or via merger and acquisition (M&A) — your startup business plan should detail whether you will pursue a horizontal or a vertical acquisition strategy. In the former, you would acquire other businesses that are similar to yours, including competitors. In the latter, you would acquire other businesses along your supply chain, such as vendors and suppliers. The ultimate goal for some startup entrepreneurs is to eventually take their company public via an initial public offering, or IPO. Doing so can provide direct access to capital markets and result in large financial rewards for startup business owners. However, this may come at a cost, as you will give up some control over business decisions and face pressure to meet financial expectations from shareholders and the investment community. Working in an on-demand capacity in the role of a startup CFO, a project CFO or part-time CFO from an area CFO services firm can help you devise your startup strategy and develop a startup business plan. A former enterprise CFO has worked with numerous other startup entrepreneurs in helping them plan their startup strategy and draft a business plan for startups. By bringing in a contract CFO, you could benefit from high-level strategic planning and startup business expertise. Starting up a new business is one of the riskiest, and also the most exciting, things that an entrepreneur can do. Among the most critical aspects of a successful new business are planning and startup strategy. Therefore, creating a startup business plan is one of the most important tasks for starting a new company. 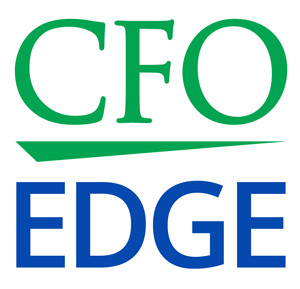 An on-demand CFO is an experienced and cost-effective resource who can help you devise your startup strategy and develop a startup business plan.